Turn Napkins into Roses for Everyday Beauty. 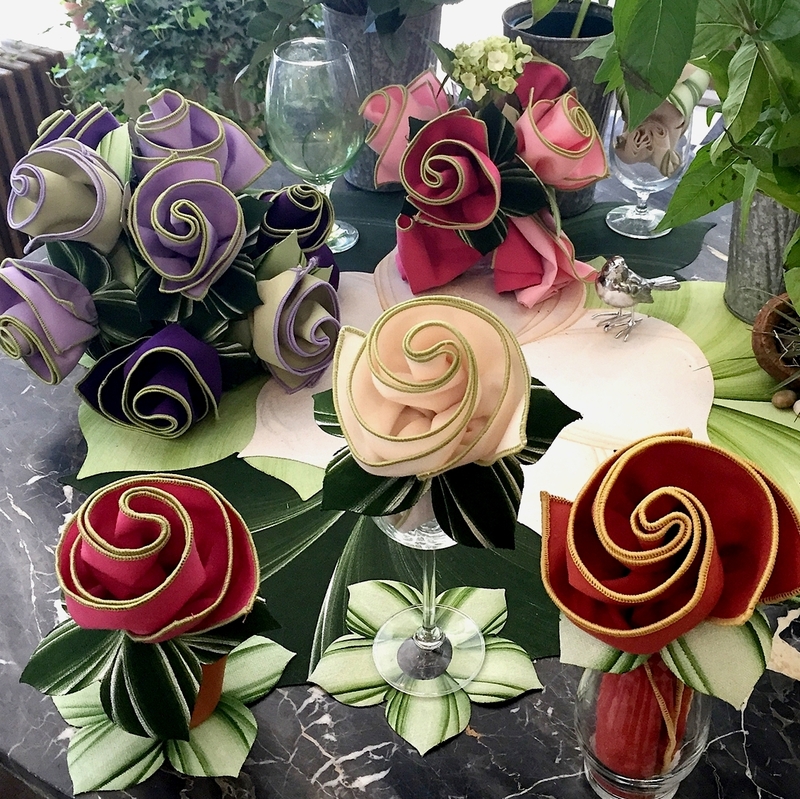 Nothing else has done more for napkins (and table-settings) than perhaps Carole Shiber's Hand-Painted Botanic Napkin Ringstm...which fall to the table to become coasters. To see how easy it is to turn any napkin into a flower, click on the Napkin Folding Video, right here. To view all colors and shop for your favorites, CLICK ON PHOTOS BELOW. Hard to choose? Best-sellers are the three on top. If your planning a party, wedding or shower and need a ton check out our Pure Color Napkin Rings.